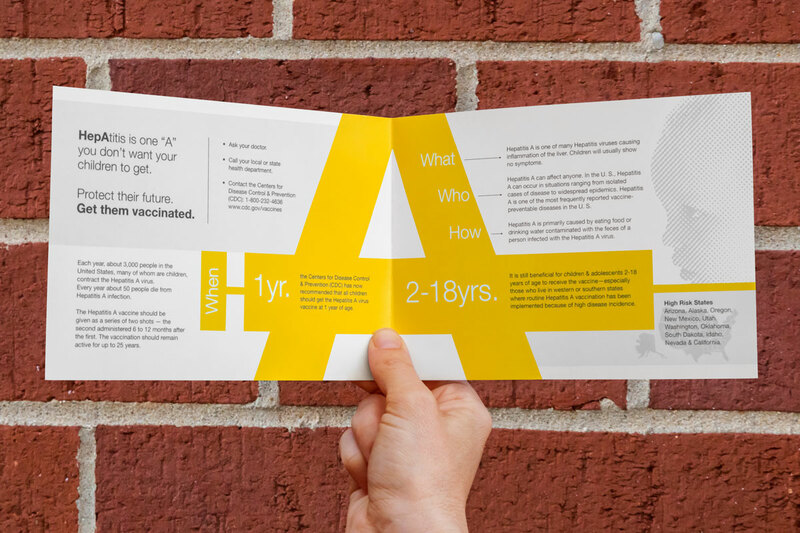 An informational campaign was designed to help healthcare professionals inform parents about the importance and availability of Hepatitis A vaccination. It was part of a toolkit that was distributed in schools and clinics across the country. 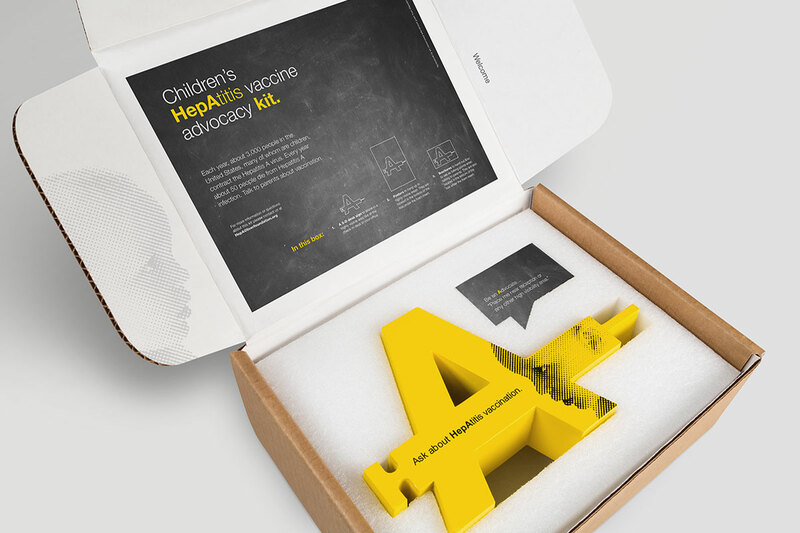 The campaign materials were packaged as a tool kit to stand out from a sea of other informational items fighting for the attention of healthcare professionals. The box itself also served as the shipping container, eliminating the need for additional packing materials. 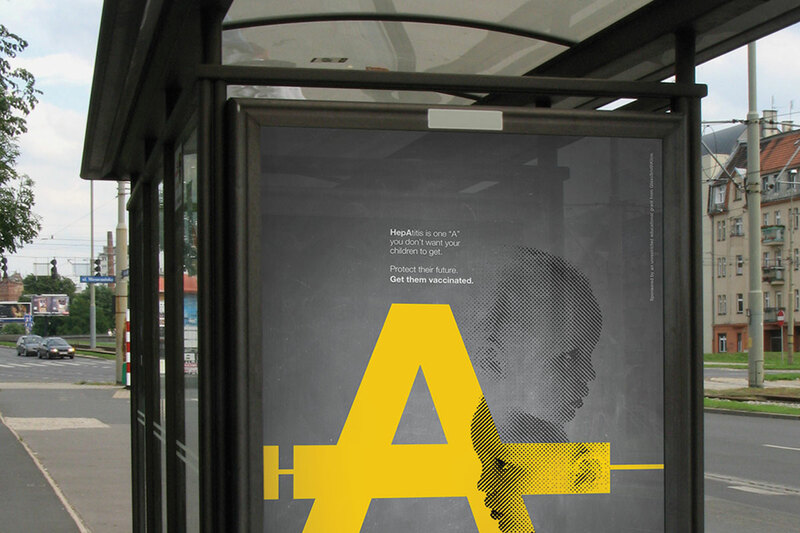 The campaign was also placed in strategic locations around the country where Hepatitis A infections were highest to increase the rate of childhood vaccination.